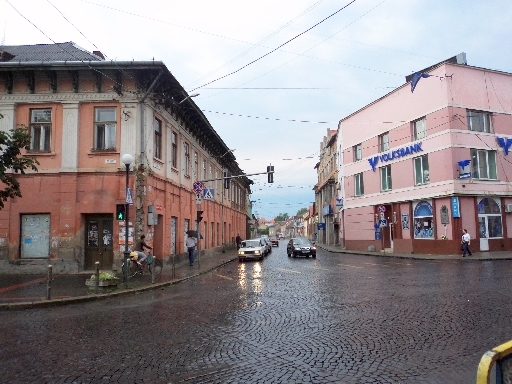 In April 1944, the Jews of Munkács, and the surrounding villages, were rounded up and marched to the ghetto in Munkács where they were interned for a month and a half. 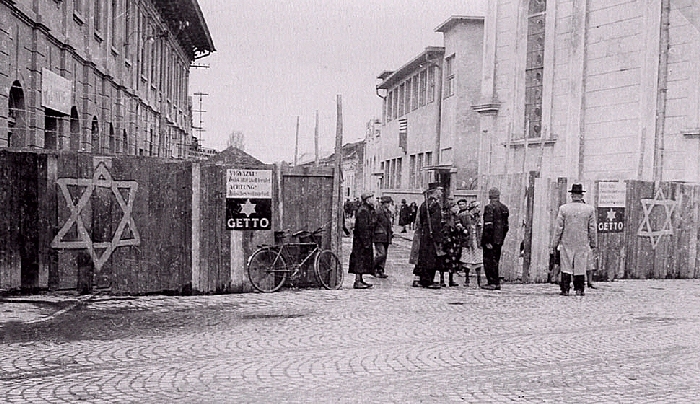 The Germans then moved everyone from the ghetto to a brick factory outside of town, then they were forced into cattle cars and transported by train to Auschwitz. 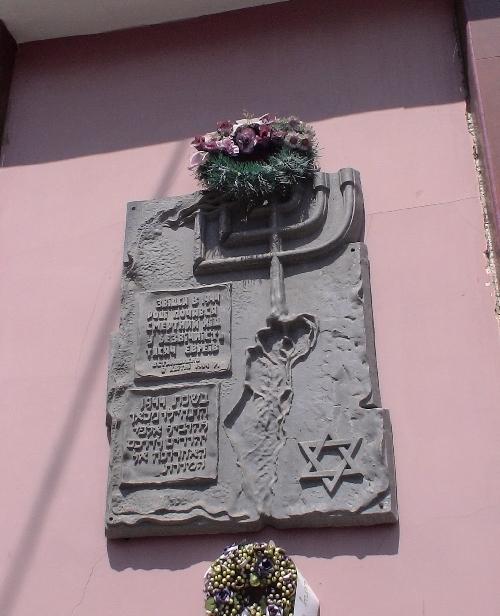 The once flourishing Jewish community of Munkács ceased to exist on 30 May 1944. 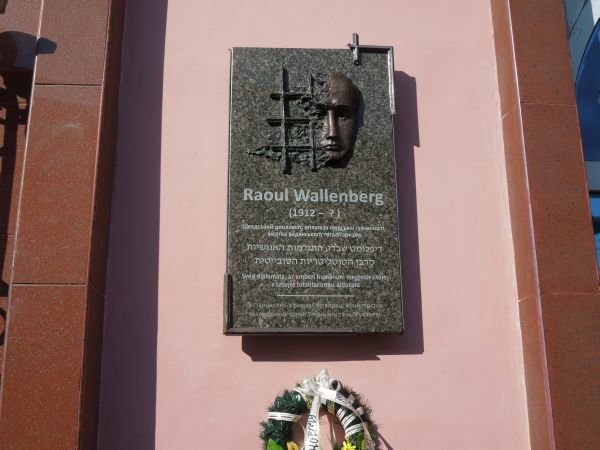 Upon arrival at the Munkács Ghetto, the Jews of Munkács and the countryside suffered confiscation of their money and valuables which they had with them. A list was made—some typed, most were handwritten—of all items confiscated. Some of the forms have the head of household signature. There are different form styles found, some with the mother's name and address for the head of the household. Many of the forms are very difficult to read or are unreadable. Following are two examples of forms used. Photo credit: USHMM, Washington, D.C. 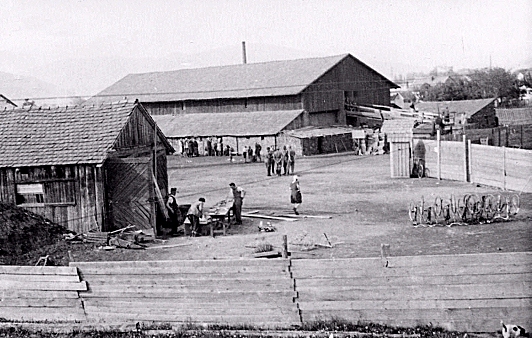 In 1944, Munkács was located in the Gendarmerie District VIII (Kassa, present-day Košice, Slovakia). 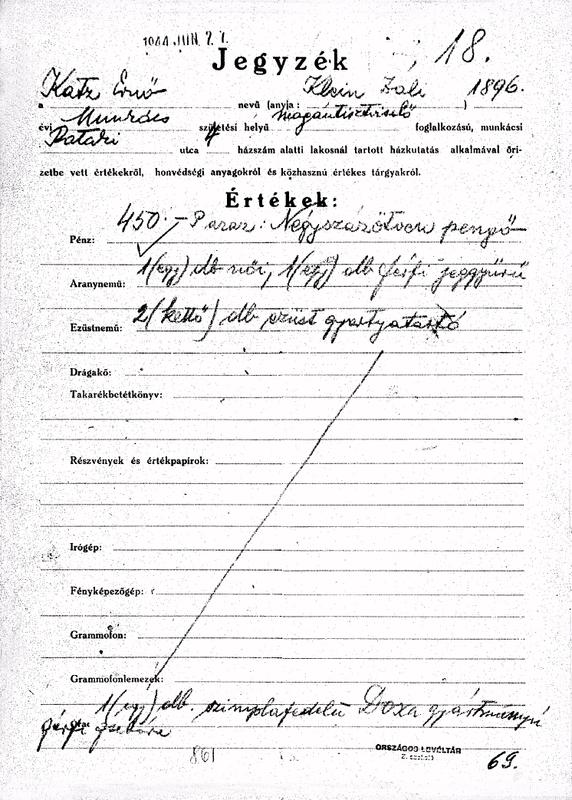 Deportations to the Auschwitz concentration camp occurred between 14 May and 7 June 1944. 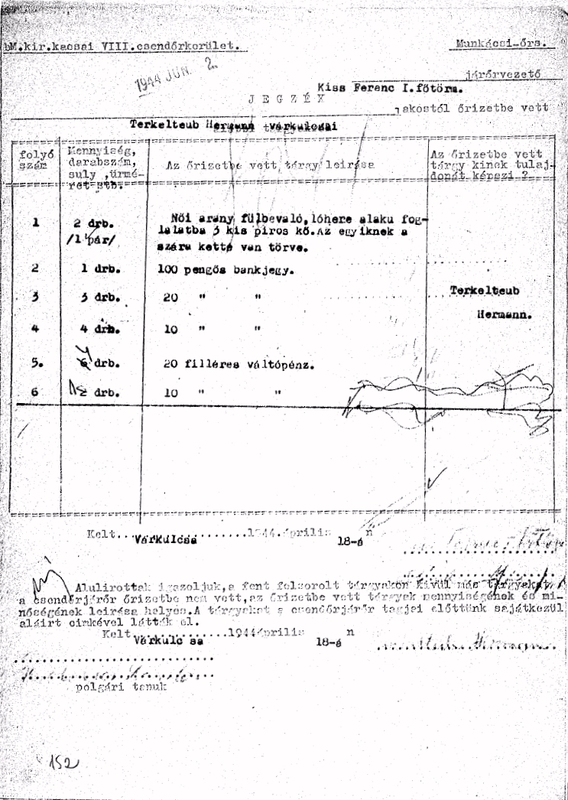 The complete list of 1944 Kassa Death Trains details the number of Jews deported and the various stations of departure. The dates and number of those deported from Munkács is listed below. Disclaimer: The following names were found searching the Nevek-Klarsfeld web site for individuals listed as living in or born in Munkács. Unfortunately, for reasons unknown, the list is incomplete.